REDONDO BEACH, Calif. – Sept. 19, 2013 – NASA's James Webb Space Telescope is dominated visually by the tennis-court sized sunshield, which separates the observatory into a warm sun-facing side and a cold anti-sun side. Each of the five sunshield layers helps to protect the telescope optics — or mirrors — from the sun's heat. 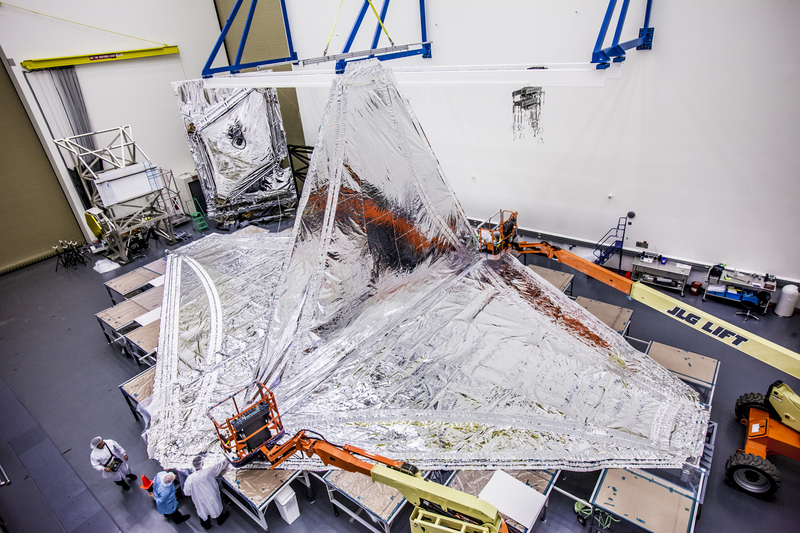 Northrop Grumman Corporation (NYSE:NOC) and teammate NeXolve Corporation, a subsidiary of ManTech International Corporation (Nasdaq:MANT) based in Huntsville, Ala., completed the manufacturing of all template layers for the Webb Telescope sunshield. The template layers are the last step before manufacturing the final flight sunshield layers. After successful completion of a manufacturing readiness review, the team is now ready to produce the final flight layers. Northrop Grumman is under contract to NASA's Goddard Space Flight Center in Greenbelt, Md., for the design and development of the Webb Telescope's optics, sunshield and spacecraft. NeXolve is subcontractor to Northrop Grumman to manufacture the one-of-a-kind sunshield membranes. The sunshield template layers have the same design and manufacturing processes as the final flight layers. Each layer has been individually shape-tested to verify that they were built to requirements. As all five template layers are being subsequently tested at Northrop Grumman's Space Park facilities to ensure the membranes meet flight performance requirements, NeXolve is beginning manufacturing of the final flight layers. Technicians at Northrop Grumman are also practicing folding and unfolding the five layers by hand on a test bed. "We try to do things early on to eliminate risk. 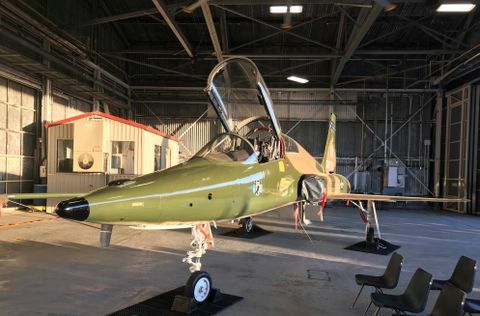 We want to avoid changes to the schedule and design modifications later in the process, so these tests and processes are critical and give us confidence that we can execute on the final flight layers," said Jim Flynn, Webb sunshield manager, Northrop Grumman Aerospace Systems. "We have to take a step back and remember that this has never been done before, so we need to build confidence that what we're innovating and designing will work." The Webb Telescope will primarily observe infrared light from faint and very distant objects. 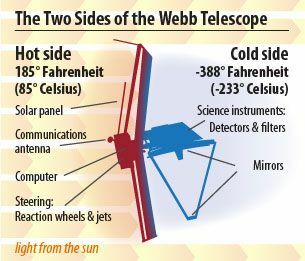 In order to detect infrared light, the optics have to be cold; thus, the sunshield passively cools the telescope to a temperature of -375 degrees F, preventing the observatory's own heat from "blinding" its infrared sensing instruments. The sunshield membrane layers, each as thin as a human hair, are made of Kapton®, a tough, high-performance plastic coated with a reflective metal. On-orbit, the observatory will be pointed so that the sun, Earth and moon are always on one side, with the sunshield acting as an umbrella to shade the telescope mirrors and instruments from the warmer spacecraft electronics and the sun. "Completion of manufacturing and shape testing of all five template layers is a major accomplishment for the sunshield team," said Greg Laue, NeXolve's sunshield program manager. "The shape performance of the sunshield has matched our predictions and met initial objectives for the system. 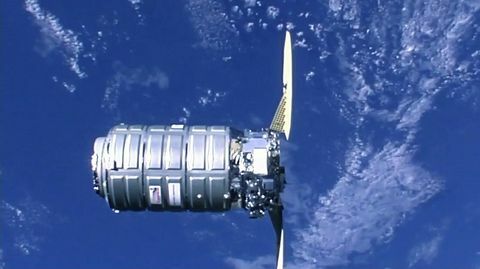 Additionally the template layers incorporated flight-like features and manufacturing processes so conclusion of all template manufacturing represents a major milestone that has validated the flight manufacturing techniques and manufacturing precision." ManTech is a leading provider of innovative technologies and solutions for mission-critical national security programs. ManTech's expertise includes C4ISR; cybersecurity; global logistics; IT; intelligence; systems engineering; test and evaluation; environmental, range and sustainability services; and healthcare analytics and IT. Additional information on ManTech can be found at www.mantech.com .